gotbaseballcards has no other items for sale. 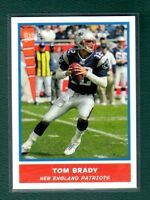 2014 Panini Tom Brady Totally Certified Epix #EP-TB Jersey Relic Card - GOAT!!! Free shipping on orders of 15 or more eligible items from gotbaseballcards.